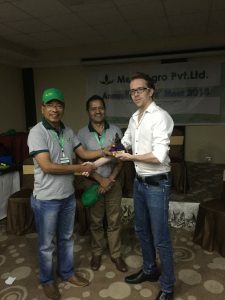 From October 6th – 8th Mr. Julian Duijghuisen attended the Annual Dealer Meet from our Nepalese customer: Mero Agro Pvt. Ltd. to launch and promote TNA’s Nutri Spark products in Nepal. 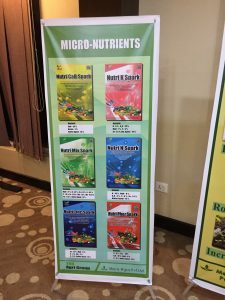 During the meet Mr. Julian gave a presentation and workshop to teach and show Nutri Spark’s unique features and benefits to Mero Agro’s dealers and staff. TNA would like to extend special thanks to Mr. SK. Shrestha, A. Chapagain and B. Prajapati for the invitation and their hospitality. We hope to continue developing the market together with Mero Agro Pvt. Ltd to bring TNA’s quality products and innovations to the Nepalese farmers.